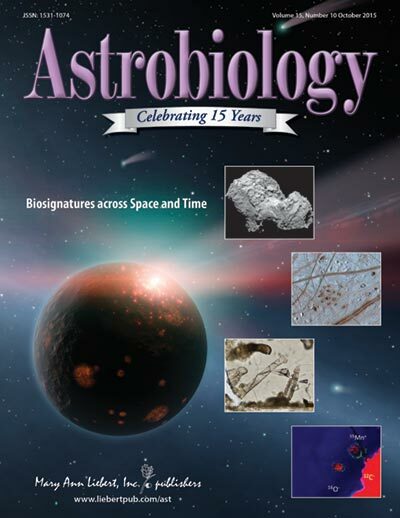 Here you can find selected papers from different Astrobiology-related journals. The papers have either been highlighted by an editor or have been suggested by an EANA member. Want to add a paper? Please send an e-mail to eana-web (at) eana-net.eu. Astrobiology is an interdisciplinary scientific field not only focused on the search of extraterrestrial life, but also on deciphering the key environmental parameters that have enabled the emergence of life on Earth. Understanding these physical and chemical parameters is fundamental knowledge necessary not only for discovering life or signs of life on other planets, but also for understanding our own terrestrial environment. Therefore, astrobiology pushes us to combine different perspectives such as the conditions on the primitive Earth, the physicochemical limits of life, exploration of habitable environments in the Solar System, and the search for signatures of life in exoplanets. Chemists, biologists, geologists, planetologists and astrophysicists are contributing extensively to this interdisciplinary research field. From 2011 to 2014, the European Space Agency (ESA) had the initiative to gather a Topical Team of interdisciplinary scientists focused on astrobiology to review the profound transformations in the field that have occurred since the beginning of the new century. 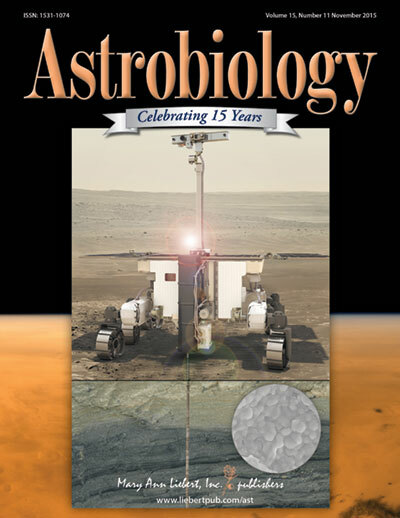 The present paper is an interdisciplinary review of current research in astrobiology, covering the major advances and main outlooks in the field. The following subjects will be reviewed and most recent discoveries will be highlighted: the new understanding of planetary system formation including the specificity of the Earth among the diversity of planets, the origin of water on Earth and its unique combined properties among solvents for the emergence of life, the idea that the Earth could have been habitable during the Hadean Era, the inventory of endogenous and exogenous sources of organic matter and new concepts about how chemistry could evolve towards biological molecules and biological systems. In addition, many new findings show the remarkable potential life has for adaptation and survival in extreme environments. All those results from different fields of science are guiding our perspectives and strategies to look for life in other Solar System objects as well as beyond, in extrasolar worlds. It is strongly recommended that steps be taken towards the definition and implementation of a European Astrobiology Platform (or Institute) to streamline and optimize the scientific return by using a coordinated infrastructure and funding system. Habitability is a widely used word in the geoscience, planetary science, and astrobiology literature, but what does it mean? In this review on habitability, we define it as the ability of an environment to support the activity of at least one known organism. We adopt a binary definition of “habitability” and a “habitable environment.” An environment either can or cannot sustain a given organism. However, environments such as entire planets might be capable of supporting more or less species diversity or biomass compared with that of Earth. A clarity in understanding habitability can be obtained by defining instantaneous habitability as the conditions at any given time in a given environment required to sustain the activity of at least one known organism, and continuous planetary habitability as the capacity of a planetary body to sustain habitable conditions on some areas of its surface or within its interior over geological timescales. We also distinguish between surface liquid water worlds (such as Earth) that can sustain liquid water on their surfaces and interior liquid water worlds, such as icy moons and terrestrial-type rocky planets with liquid water only in their interiors. This distinction is important since, while the former can potentially sustain habitable conditions for oxygenic photosynthesis that leads to the rise of atmospheric oxygen and potentially complex multicellularity and intelligence over geological timescales, the latter are unlikely to. Habitable environments do not need to contain life. Although the decoupling of habitability and the presence of life may be rare on Earth, it may be important for understanding the habitability of other planetary bodies. Mars Science Laboratory (MSL) with its Curiosity rover is at present searching for organic traces of life in the once, theoretically, habitable Gale Crater on Mars while the ExoMars 2018 mission will also be searching for past traces of life at one of three locations on the red planet, Oxia Planum, Arum Dorsum or Mawrth Vallis, all located around the edges of Chryse Planitia in the Northern Plains (Vastis Borealis). Today the surface of Mars is a barren desert but in its early history certain parts of the planet appear to have been inhabitable. This prompts the questions: what kinds of life forms could have appeared and lived at the surface? Where are they? And how can we find them? In order to address these questions we consider the conditions for the emergence of life on Mars, showing that they were likely to have been temporally and spatially heterogeneous, in other words, the habitable conditions were “punctuated”. The limitations in habitability would have effectively restricted the evolution of life with the result that Martian microorganisms were likely to have been (and still be if extant in the subsurface) anaerobic chemotrophs. Study of the analogue fossil traces of such organisms from the early Earth (3.5-3.33 Ga) demonstrates that these organisms were widely but very sparsely distributed. However, their biomass development and distribution seems to be heavily dependent on the availability of chemical and inorganic energy sources produced by hydrothermal activity; colony development in the vicinity of vents was abundant. Rapid mineralisation and cementation of the microbial remains is essential for good preservation. We evaluate the biogenicity of these ancient signatures by comparing them to possible abiotic features, noting the necessity of taking into account a broad variety of morphological, geochemical and organic characteristics for reliable biosignature identification. Finally, we discuss the implications of the different scenarios for detection of biosignatures during in situ exploration, ranging from the non-appearance of life, through preserved traces of life and to the presence of living microorganisms. Reports of methane on Mars at different times imply varying spatial distributions. This study examines whether different observations are mutually consistent by using a global circulation model to investigate the time evolution of methane in the atmosphere. 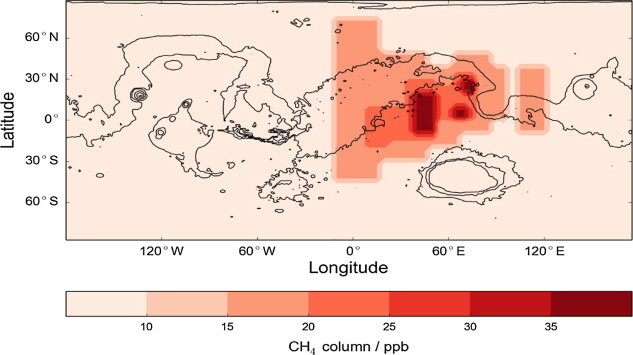 Starting from an observed plume of methane, consistent with that reported in 2003 from ground-based telescopes, multiple simulations are analysed to investigate what is required for consistency with an inferred methane signal from the Thermal Emission Spectrometer made 60 sols later. The best agreement between the existing observations is found using continued release from a solitary source over Nili Fossae. While the peaks in methane over the Tharsis Montes, Elysium Mons and Nili Fossae regions are well aligned with the retrievals, an extra peak on the south flank of the Isidis basin is apparent in the model due to the prevailing eastward transport of methane. The absence of this feature could indicate the presence of a fast-acting localised sink of methane. These results show that the spatial and temporal variability of methane on Mars implied by observations could be explained by advection from localised time-dependent sources alongside a currently unknown methane sink. Evidence is presented that a fast trapping mechanism for methane is required. Trapping by a zeolite structure in dust particles is a suggested candidate warranting further investigation; this could provide a fast acting sink as required by this reconstruction. Serpentinization involves the hydrolysis and transformation of primary ferromagnesian minerals such as olivine ((Mg,Fe)2SiO4) and pyroxenes ((Mg,Fe)SiO3) to produce H2-rich fluids and a variety of secondary minerals over a wide range of environmental conditions. The continual and elevated production of H2 is capable of reducing carbon, thus initiating an inorganic pathway to produce organic compounds. The production of H2 and H2-dependent CH4 in serpentinization systems has received significant interdisciplinary interest, especially with regard to the abiotic synthesis of organic compounds and the origins and maintenance of life in Earth´s lithosphere and elsewhere in the Universe. Here, serpentinization with an emphasis on the formation of H2 and CH4 are reviewed within the context of the mineralogy, temperature/pressure, and fluid/gas chemistry present in planetary environments. Whether deep in Earth´s interior or in Kuiper Belt Objects in space, serpentinization is a feasible process to invoke as a means of producing astrobiologically indispensable H2 capable of reducing carbon to organic compounds. Rettberg et al. (2019): Biological Contamination Prevention for Outer Solar System Moons of Astrobiological Interest: What Do We Need to Know? To ensure that scientific investments in space exploration are not compromised by terrestrial contamination of celestial bodies, special care needs to be taken to preserve planetary conditions for future astrobiological exploration. Significant effort has been made and is being taken to address planetary protection in the context of inner Solar System exploration. In particular for missions to Mars, detailed internationally accepted guidelines have been established. For missions to the icy moons in the outer Solar System, Europa and Enceladus, the planetary protection requirements are so far based on a probabilistic approach and a conservative estimate of poorly known parameters. One objective of the European Commission-funded project, Planetary Protection of Outer Solar System, was to assess the existing planetary protection approach, to identify inherent knowledge gaps, and to recommend scientific investigations necessary to update the requirements for missions to the icy moons. The detection of silica-rich dust particles, as an indication for ongoing hydrothermal activity, and the presence of water and organic molecules in the plume of Enceladus, have made Saturn`s icy moon a hot spot in the search for potential extraterrestrial life. Methanogenic archaea are among the organisms that could potentially thrive under the predicted conditions on Enceladus, considering that both molecular hydrogen (H2) and methane (CH4) have been detected in the plume. Here we show that a methanogenic archaeon, Methanothermococcus okinawensis, can produce CH4 under physicochemical conditions extrapolated for Enceladus. Up to 72% carbon dioxide to CH4 conversion is reached at 50bar in the presence of potential inhibitors. Furthermore, kinetic and thermodynamic computations of low-temperature serpentinization indicate that there may be sufficient H2 gas production to serve as a substrate for CH4 production on Enceladus. We conclude that some of the CH4 detected in the plume of Enceladus might, in principle, be produced by methanogens. The space environment is regularly used for experiments addressing astrobiology research goals. The specific conditions prevailing in Earth orbit and beyond, notably the radiative environment (photons and energetic particles) and the possibility to conduct long-duration measurements, have been the main motivations for developing experimental concepts to expose chemical or biological samples to outer space, or to use the reentry of a spacecraft on Earth to simulate the fall of a meteorite. 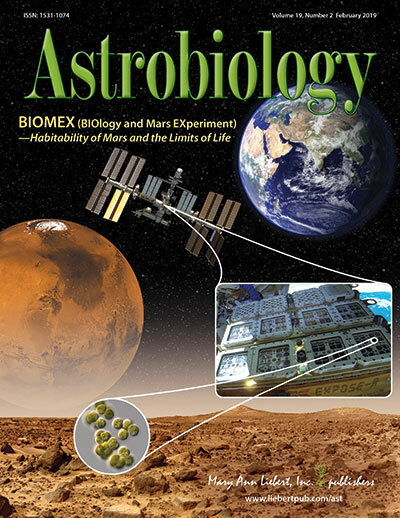 This paper represents an overview of past and current research in astrobiology conducted in Earth orbit and beyond, with a special focus on ESA missions such as Biopan, STONE (on Russian FOTON capsules) and EXPOSE facilities (outside the International Space Station). The future of exposure platforms is discussed, notably how they can be improved for better science return, and how to incorporate the use of small satellites such as those built in cubesat format. The number of confirmed exoplanets now exceeds 3000, with an additional nearly 5000 exoplanet candidates awaiting confirmation in the NASA Exoplanet Archive (2016). Nearly weekly we hear about the detection of a new exoplanet similar in mass to Earth and located in the so-called habitable zone around its host star. The excitement is understandable given our desire to find a second Earth. However, the excitement should not lead to an over-interpretation of the findings, because the claim can only be to have some crude similarity to Earth based on a few selected geophysical parameters. Only a very small fraction of these planets will actually be Earth-like. Earth-like would imply multiple environmental habitats and presence of a sizable biosphere and complex ecosystems, without which Earth, as we experience it, would not exist. Thus, it should be clearly communicated to the public that we are probably still many years away from having the technological capability to detect an Earth-like planet or Earth 2.0 with adequate certainty. The only organic compounds that have been detected in the Martian soil are simple chlorinated compounds released from heated surface material. However, the sources of the organic carbon are in dispute. Wind abraded silicates, which are widespread on the Martian surface, can sequester atmospheric methane which generates methylated silicates and thus could provide a mechanism for accumulation of reduced carbon in the surface soil. In this study we show that thermal volatilization of methylated silicates in the presence of perchlorate leads to the production of chlorinated methane. Thus, methylated silicates could be a source of the organic carbon released as chlorinated methane upon thermal volatilization of Martian soil samples. Further, our experiments show that the ratio of the different chlorinated compounds produced is dependent on the mass ratio of perchlorate to organic carbon in the soil. Earth is the most mineralogically diverse planet in our solar system, the direct consequence of a coevolving geosphere and biosphere. We consider the possibility that a microbial biosphere originated and thrived in the early Hadean-Archean Earth subseafloor environment, with fundamental consequences for the complex evolution and habitability of our planet. In this hypothesis paper, we explore possible venues for the origin of life and the direct consequences of microbially mediated, low-temperature hydrothermal alteration of the early oceanic lithosphere. We hypothesize that subsurface fluid-rock-microbe interactions resulted in more efficient hydration of the early oceanic crust, which in turn promoted bulk melting to produce the first evolved fragments of felsic crust. These evolved magmas most likely included sialic or tonalitic sheets, felsic volcaniclastics, and minor rhyolitic intrusions emplaced in an Iceland-type extensional setting as the earliest microcontinents. With the further development of proto-tectonic processes, these buoyant felsic crustal fragments formed the nucleus of intra-oceanic tonalite-trondhjemite-granitoid (TTG) island arcs. Thus microbes, by facilitating extensive hydrothermal alteration of the earliest oceanic crust through bioalteration, promoted mineral diversification and may have been early architects of surface environments and microcontinents on young Earth. We explore how the possible onset of subseafloor fluid-rock-microbe interactions on early Earth accelerated metavolcanic clay mineral formation, crustal melting, and subsequent metamorphic mineral evolution. We also consider environmental factors supporting this earliest step in geosphere-biosphere coevolution and the implications for habitability and mineral evolution on other rocky planets, such as Mars. Bridging between the phenomenologically distinct biological and physical worlds has been a major scientific challenge since Boltzmann’s probabilistic formulation of the second law of thermodynamics. In this review we summarize our recent theoretical attempts to bridge that divide through analysis of the thermodynamic-kinetic interplay in chemical processes and the manner in which that interplay impacts on material stability. Key findings are that the term ‘stability’ manifests two facets – time and energy – and that stability’s time facet, expressed as persistence, is more general than its energy facet. That idea, together with the proposed existence of a logical law of nature, the persistence principle, leads to the mathematically-based insight that stability can come about through either Boltzmann’s probabilistic considerations or Malthusian kinetics. Two mathematically-based forms of material persistence then lead directly to the physical likelihood of two material forms, animate and inanimate. Significantly, the incorporation of kinetic considerations into the stability concept appears to bring us closer to enabling two of the central theories in science - the second law of thermodynamics and Darwin’s theory of evolution - to be reconciled within a single conceptual framework. James II et al. (2015): 227 Views of RNA: Is RNA Unique in Its Chemical Isomer Space? Ribonucleic acid (RNA) is one of the two nucleic acids used by extant biochemistry and plays a central role as the intermediary carrier of genetic information in transcription and translation. If RNA was involved in the origin of life, it should have a facile prebiotic synthesis. A wide variety of such syntheses have been explored. However, to date no one-pot reaction has been shown capable of yielding RNA monomers from likely prebiotically abundant starting materials, though this does not rule out the possibility that simpler, more easily prebiotically accessible nucleic acids may have preceded RNA. Given structural constraints, such as the ability to form complementary base pairs and a linear covalent polymer, a variety of structural isomers of RNA could potentially function as genetic platforms. By using structure-generation software, all the potential structural isomers of the ribosides (BC5H9O4, where B is nucleobase), as well as a set of simpler minimal analogues derived from them, that can potentially serve as monomeric building blocks of nucleic acid–like molecules are enumerated. Molecules are selected based on their likely stability under biochemically relevant conditions (e.g., moderate pH and temperature) and the presence of at least two functional groups allowing the monomers to be incorporated into linear polymers. The resulting structures are then evaluated by using molecular descriptors typically applied in quantitative structure–property relationship (QSPR) studies and predicted physicochemical properties. Several databases have been queried to determine whether any of the computed isomers had been synthesized previously. Very few of the molecules that emerge from this structure set have been previously described. We conclude that ribonucleosides may have competed with a multitude of alternative structures whose potential proto-biochemical roles and abiotic syntheses remain to be explored. A major scientific goal of the European Space Agency’s ExoMars 2018 rover is to identify evidence of life within the martian rock record. Key to this objective is the remote detection of geological substrates that are indicative of past habitable environments, which will rely on visual (stereo wide-angle, and high resolution images) and multispectral (440–1000 nm) data produced by the Panoramic Camera (PanCam) instrument. We deployed a PanCam emulator at four hydrothermal sites in the Námafjall volcanic region of Iceland, a Mars-analogue hydrothermal alteration terrain. At these sites, sustained acidic–neutral aqueous interaction with basaltic substrates (crystalline and sedimentary) has produced phyllosilicate, ferric oxide, and sulfate-rich alteration soils, and secondary mineral deposits including gypsum veins and zeolite amygdales. PanCam emulator datasets from these sites were complemented with (i) NERC Airborne Research and Survey Facility aerial hyperspectral images of the study area; (ii) in situ reflectance spectroscopy (400–1000 nm) of PanCam spectral targets; (iii) laboratory X-ray Diffraction, and (iv) laboratory VNIR (350–2500 nm) spectroscopy of target samples to identify their bulk mineralogy and spectral properties. The mineral assemblages and palaeoenvironments characterised here are analogous to neutral–acidic alteration terrains on Mars, such as at Mawrth Vallis and Gusev Crater. Combined multispectral and High Resolution Camera datasets were found to be effective at capturing features of astrobiological importance, such as secondary gypsum and zeolite mineral veins, and phyllosilicate-rich substrates. Our field observations with the PanCam emulator also uncovered stray light problems which are most significant in the NIR wavelengths and investigations are being undertaken to ensure that the flight model PanCam cameras are not similarly affected. Ribonucleotide reduction is the only pathway for de novo synthesis of deoxyribonucleotides in extant organisms. This chemically demanding reaction, which proceeds via a carbon-centered free radical, is catalyzed by ribonucleotide reductase (RNR). The mechanism has been deemed unlikely to be catalyzed by a ribozyme, creating an enigma regarding how the building blocks for DNA were synthesized at the transition from RNA- to DNA-encoded genomes. While it is entirely possible that a different pathway was later replaced with the modern mechanism, here we explore the evolutionary and biochemical limits for an origin of the mechanism in the RNA + protein world and suggest a model for a prototypical ribonucleotide reductase (protoRNR). From the protoRNR evolved the ancestor to modern RNRs, the urRNR, which diversified into the modern three classes. Since the initial radical generation differs between the three modern classes, it is difficult to establish how it was generated in the urRNR. Here we suggest a model that is similar to the B12-dependent mechanism in modern class II RNRs. The surface conditions on the Moon are extremely harsh with high doses of ultraviolet (UV) irradiation (26.8 W m−2 UVC/UVB), wide temperature extremes (-171°C to 140°C), low pressure (10−10 Pa), and high levels of ionizing radiation. External spacecraft surfaces on the Moon are generally >100°C during daylight hours and can reach as high as 140°C at local noon. A Lunar Microbial Survival (LMS) model was developed that estimated (1) the total viable bioburden of all spacecraft landed on the Moon as ∼4.57 × 1010 microbial cells/spores at contact, (2) the inactivation kinetics of Bacillus subtilis spores to vacuum as approaching -2 logs per 2107 days, (3) the inactivation of spores on external surfaces due to concomitant low-pressure and high-temperature conditions as -6 logs per 8 h for local noon conditions, and (4) the ionizing radiation by solar wind particles as approaching -3 logs per lunation on external surfaces only. When the biocidal factors of solar UV, vacuum, high-temperature, and ionizing radiation were combined into an integrated LMS model, a -231 log reduction in viable bioburden was predicted for external spacecraft surfaces per lunation at the equator. Results indicate that external surfaces of landed or crashed spacecraft are unlikely to harbor viable spores after only one lunation, that shallow internal surfaces will be sterilized due to the interactive effects of vacuum and thermal cycling from solar irradiation, and that deep internal surfaces would be affected only by vacuum with a degradation rate of -0.02 logs per lunation. Numerous studies have demonstrated that the martian surface environment is hostile to life because of its rough radiation climate and the reactive chemistry of the regolith. Physical processes such as erosion and transport of mineral particles by wind-driven saltation have hitherto not been considered as a life hazard. We report a series of experiments where bacterial endospores (spores of Bacillus subtilis) were exposed to a simulated saltating martian environment. We observed that 50% of the spores that are known to be highly resistant to radiation and oxidizing chemicals were destroyed by saltation-mediated abrasion within one minute. Scanning electron micrographs show that the spores were not only damaged by abrasion but were eradicated during the saltation process. We suggest that abrasion mediated by wind-driven saltation should be included as a factor that defines the habitability of the martian surface environment. The process may efficiently protect the martian surface from forward contamination with terrestrial microbial life-forms. Abrasion mediated by wind-driven saltation should also be considered as a major challenge to indigenous martian surface life if it exists/existed. Scientists use the Earth as a tool for astrobiology by analyzing planetary field analogues (i.e. terrestrial samples and field sites that resemble planetary bodies in our Solar System). In addition, they expose the selected planetary field analogues in simulation chambers to conditions that mimic the ones of planets, moons and Low Earth Orbit (LEO) space conditions, as well as the chemistry occurring in interstellar and cometary ices. 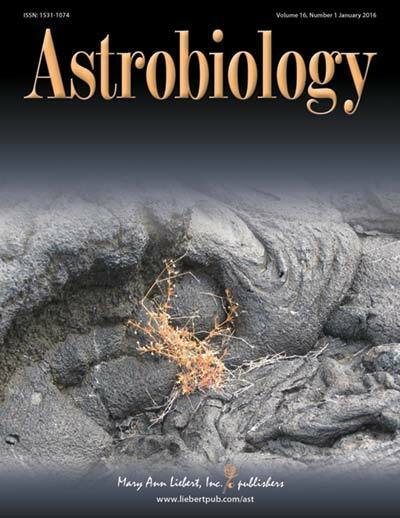 This paper reviews the ways the Earth is used by astrobiologists: (i) by conducting planetary field analogue studies to investigate extant life from extreme environments, its metabolisms, adaptation strategies and modern biosignatures; (ii) by conducting planetary field analogue studies to investigate extinct life from the oldest rocks on our planet and its biosignatures; (iii) by exposing terrestrial samples to simulated space or planetary environments and producing a sample analogue to investigate changes in minerals, biosignatures and microorganisms. The European Space Agency (ESA) created a topical team in 2011 to investigate recent activities using the Earth as a tool for astrobiology and to formulate recommendations and scientific needs to improve ground-based astrobiological research. Space is an important tool for astrobiology (see Horneck et al. in Astrobiology, 16:201–243, 2016; Cottin et al., 2017), but access to space is limited. Complementing research on Earth provides fast access, more replications and higher sample throughput. The major conclusions of the topical team and suggestions for the future include more scientifically qualified calls for field campaigns with planetary analogy, and a centralized point of contact at ESA or the EU for the organization of a survey of such expeditions. An improvement of the coordinated logistics, infrastructures and funding system supporting the combination of field work with planetary simulation investigations, as well as an optimization of the scientific return and data processing, data storage and data distribution is also needed. Finally, a coordinated EU or ESA education and outreach program would improve the participation of the public in the astrobiological activities. Chapter 1. Introduction—What Is Astrobiology? Chapter 2. What Is Life? Chapter 3. How Did Earth and Its Biosphere Originate? Chapter 4. How Have Earth and Its Biosphere Evolved? Chapter 5. What Does Life on Earth Tell Us about Habitability? Chapter 6. What Is Known about Potentially Habitable Worlds beyond Earth? Chapter 7. What Are the Signs of Life (Biosignatures) That We Could Use to Look for Life beyond Earth? Chapter 8. What Relevance Does Astrobiology Have to the Future of Life on This Planet? Noack et al. (2016): Water-rich planets: How habitable is a water layer deeper than on Earth? Water is necessary for the origin and survival of life as we know it. In the search for life-friendly worlds, water-rich planets therefore are obvious candidates and have attracted increasing attention in recent years. The surface H2O layer on such planets (containing a liquid water ocean and possibly high-pressure ice below a specific depth) could potentially be hundreds of kilometres deep depending on the water content and the evolution of the proto-atmosphere. We study possible constraints for the habitability of deep water layers and introduce a new habitability classification relevant for water-rich planets (from Mars-size to super-Earth-size planets). A new ocean model has been developed that is coupled to a thermal evolution model of the mantle and core. Our interior structure model takes into account depth-dependent thermodynamic properties and the possible formation of high-pressure ice. We find that heat flowing out of the silicate mantle can melt an ice layer from below (in some cases episodically), depending mainly on the thickness of the ocean-ice shell, the mass of the planet, the surface temperature and the interior parameters (e.g. radioactive mantle heat sources). The high pressure at the bottom of deep water–ice layers could also impede volcanism at the water–mantle boundary for both stagnant lid and plate tectonics silicate shells. We conclude that water-rich planets with a deep ocean, a large planet mass, a high average density or a low surface temperature are likely less habitable than planets with an Earth-like ocean. Extreme radiation–resistant microorganisms can survive doses of ionizing radiation far greater than are present in the natural environment. Radiation resistance is believed to be an incidental adaptation to desiccation resistance, as both hazards cause similar cellular damage. Desert soils are, therefore, promising targets to prospect for new radiation-resistant strains. This is the first study to isolate radiation-resistant microbes by using gamma-ray exposure preselection from the extreme cold desert of the Antarctic Dry Valleys (a martian surface analogue). Halomonads, identified by 16S rRNA gene sequencing, were the most numerous survivors of the highest irradiation exposures. They were studied here for the first time for both their desiccation and irradiation survival characteristics. In addition, the association between desiccation and radiation resistance has not been investigated quantitatively before for a broad diversity of microorganisms. Thus, a meta-analysis of scientific literature was conducted to gather a larger data set. A strong correlation was found between desiccation and radiation resistance, indicating that an increase in the desiccation resistance of 5 days corresponds to an increase in the room-temperature irradiation survival of 1 kGy. Irradiation at −79°C (representative of average martian surface temperatures) increases the microbial radiation resistance 9-fold. Consequently, the survival of the cold-, desiccation-, and radiation-resistant organisms isolated here has implications for the potential habitability of dormant or cryopreserved life on Mars. Evidence of life on Earth is manifestly preserved in the rock record. However, the microfossil record only extends to ∼3.5 billion years (Ga), the chemofossil record arguably to ∼3.8 Ga, and the rock record to 4.0 Ga. Detrital zircons from Jack Hills, Western Australia range in age up to nearly 4.4 Ga. From a population of over 10,000 Jack Hills zircons, we identified one >3.8-Ga zircon that contains primary graphite inclusions. Here, we report carbon isotopic measurements on these inclusions in a concordant, 4.10 ± 0.01-Ga zircon. We interpret these inclusions as primary due to their enclosure in a crack-free host as shown by transmission X-ray microscopy and their crystal habit. Their δ13CPDB of −24 ± 5‰ is consistent with a biogenic origin and may be evidence that a terrestrial biosphere had emerged by 4.1 Ga, or ∼300 My earlier than has been previously proposed. Subseafloor mixing of reduced hydrothermal fluids with seawater is believed to provide the energy and substrates needed to support deep chemolithoautotrophic life in the hydrated oceanic mantle (i.e., serpentinite). However, geosphere-biosphere interactions in serpentinite-hosted subseafloor mixing zones remain poorly constrained. Here we examine fossil microbial communities and fluid mixing processes in the subseafloor of a Cretaceous Lost City-type hydrothermal system at the magma-poor passive Iberia Margin (Ocean Drilling Program Leg 149, Hole 897D). Brucite−calcite mineral assemblages precipitated from mixed fluids ca. 65 m below the Cretaceous paleo-seafloor at temperatures of 31.7 ± 4.3 °C within steep chemical gradients between weathered, carbonate-rich serpentinite breccia and serpentinite. Mixing of oxidized seawater and strongly reducing hydrothermal fluid at moderate temperatures created conditions capable of supporting microbial activity. Dense microbial colonies are fossilized in brucite−calcite veins that are strongly enriched in organic carbon (up to 0.5 wt.% of the total carbon) but depleted in 13C (δ13CTOC = −19.4‰). We detected a combination of bacterial diether lipid biomarkers, archaeol, and archaeal tetraethers analogous to those found in carbonate chimneys at the active Lost City hydrothermal field. The exposure of mantle rocks to seawater during the breakup of Pangaea fueled chemolithoautotrophic microbial communities at the Iberia Margin, possibly before the onset of seafloor spreading. Lost City-type serpentinization systems have been discovered at midocean ridges, in forearc settings of subduction zones, and at continental margins. It appears that, wherever they occur, they can support microbial life, even in deep subseafloor environments. 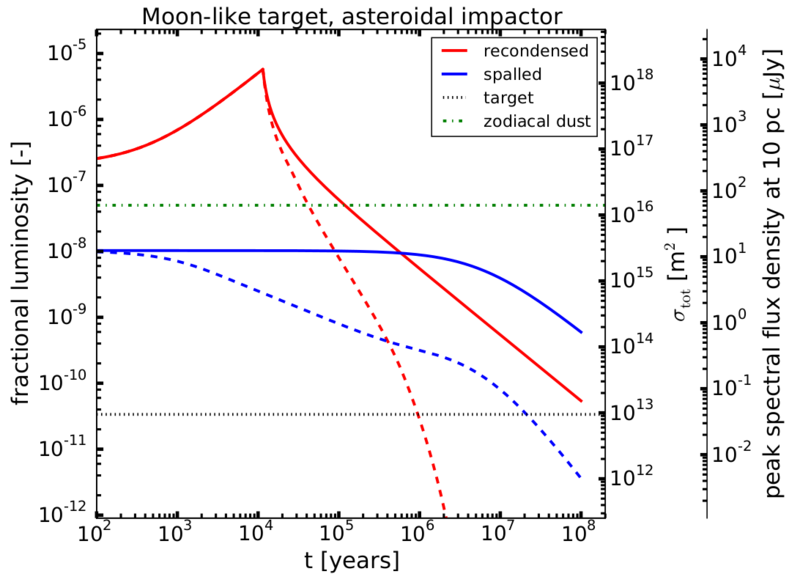 In order to test accretion simulations as well as planetary differentiation scenarios, we have integrated a multistage core–mantle differentiation model with N-body accretion simulations. Impacts between embryos and planetesimals are considered to result in magma ocean formation and episodes of core formation. The core formation model combines rigorous chemical mass balance with metal–silicate element partitioning data and requires that the bulk compositions of all starting embryos and planetesimals are defined as a function of their heliocentric distances of origin. To do this, we assume that non-volatile elements are present in Solar System (CI) relative abundances in all bodies and that oxygen and H2O contents are the main compositional variables. The primary constraint on the combined model is the composition of the Earth’s primitive mantle. In addition, we aim to reproduce the composition of the martian mantle and the mass fractions of the metallic cores of Earth and Mars. The model is refined by least squares minimization with up to five fitting parameters that consist of the metal–silicate equilibration pressure and 1–4 parameters that define the starting compositions of primitive bodies. This integrated model has been applied to six Grand Tack N-body accretion simulations. 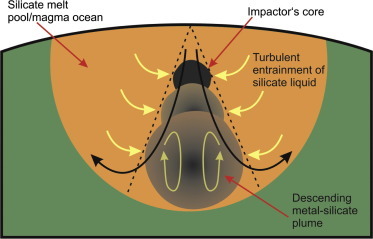 Investigations of a broad parameter space indicate that: (1) accretion of Earth was heterogeneous, (2) metal–silicate equilibration pressures increase as accretion progresses and are, on average, 60–70% of core–mantle boundary pressures at the time of each impact, and (3) a large fraction (70–100%) of the metal of impactor cores equilibrates with a small fraction of the silicate mantles of proto-planets during each core formation event. Results are highly sensitive to the compositional model for the primitive starting bodies and several accretion/core-formation models can thus be excluded. Acceptable fits to the Earth’s mantle composition are obtained only when bodies that originated close to the Sun, at <0.9–1.2 AU, are highly reduced and those from beyond this distance are increasingly oxidized. Reasonable concentrations of H2O in Earth’s mantle are obtained when bodies originating from beyond 6–7 AU contain 20 wt% water ice (icy bodies that originated between the snow line and this distance did not contribute to Earth’s accretion because they were swept up by Jupiter and Saturn). In the six models examined, water is added to the Earth mainly after 60–80% of its final mass has accreted. The compositional evolution of the mantles of Venus and Mars are also constrained by the model. The FeO content of the martian mantle depends critically on the heliocentric distance at which the Mars-forming embryo originated. Finally, the Earth’s core is predicted to contain 8–9 wt% silicon, 2–4 wt% oxygen and 10–60 ppm hydrogen, whereas the martian core is predicted to contain low concentrations (<1 wt%) of Si and O. The search for once-habitable locations on Mars is increasingly focused on environments dominated by fluvial and lacustrine processes, such as those investigated by the Mars Science Laboratory Curiosity rover. The availability of liquid water coupled with the potential longevity of such systems renders these localities prime targets for the future exploration of Martian biosignatures. Fluvial-lacustrine environments associated with basaltic volcanism are highly relevant to Mars, but their terrestrial counterparts have been largely overlooked as a field analogue. Such environments are common in Iceland, where basaltic volcanism interacts with glacial ice and surface snow to produce large volumes of meltwater within an otherwise cold and dry environment. This meltwater can be stored to create subglacial, englacial, and proglacial lakes, or be released as catastrophic floods and proglacial fluvial systems. Sedimentary deposits produced by the resulting fluvial-lacustrine activity are extensive, with lithologies dominated by basaltic minerals, low-temperature alteration assemblages (e.g., smectite clays, calcite), and amorphous, poorly crystalline phases (basaltic glass, palagonite, nanophase iron oxides). 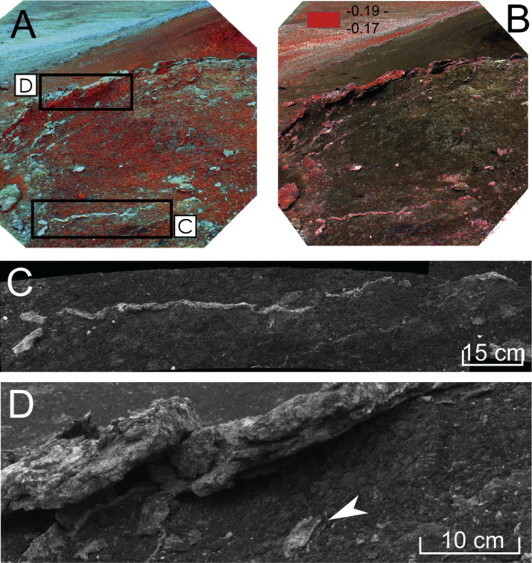 This paper reviews examples of these environments, including their sedimentary deposits and microbiology, within the context of utilising these localities for future Mars analogue studies and instrument testing.